Did Leonardo da Vinci have help? Home » Leonardo da Vinci » Did Leonardo da Vinci have help? 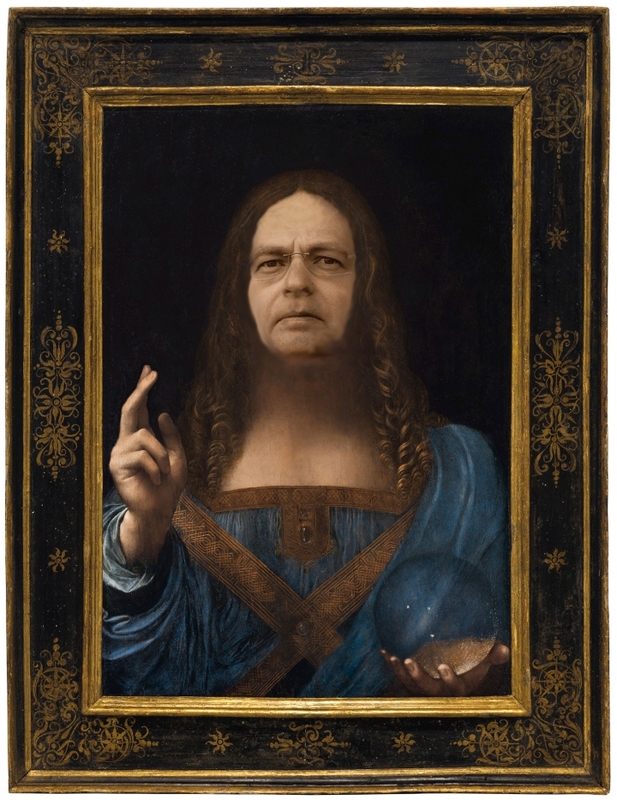 Matthew Landrus believes the painting, which Louvre Abu Dhabi bought at auction for $450.3 million in 2017, better resembles the work of Bernardino Luini, an assistant in Da Vinci’s studio. Money has predominantly led most of the discussions surrounding attribution for “Salvator Mundi” (c. 1500), the Renaissance painting from Milan whose connection to Leonardo da Vinci’s studio is certain if also vague. The question of how this painting (sold for $127.5 million in 2014) could nearly quadruple in price to $450.3 million in 2017 was inextricably linked to Christie’s ability to build consensus on what it billed as “one of fewer than 20 known paintings by Leonardo.” Assembling a team of experts, the auction house created a whirlwind of scholarship and publicity that silenced the majority of its critics until the final hours of the sale when a variety of academics and journalists spoke against the attribution. One Leonardo expert who stayed quiet during the stormy debate was Oxford art historian Matthew Landrus, whose upcoming book, Leonardo da Vinci, is an update to his earlier 2006 edition that has sold over 200,000 copies in fifteen languages. Landrus made headlines this week for his controversial appraisal of “Salvator Mundi,” which he says is probably between only 5% and 20% painted by Leonardo. He notes that the rest of the painting is likely the work of Bernardino Luini, a studio assistant of Da Vinci. Hyperallergic spoke with Landrus about his shocking assertion.